When the time comes to have a Persian or Oriental rug professionally cleaned, some homeowners want their rugs to be cleaned in their homes. Fine area rugs are generally large and cumbersome to move. It make sense that a homeowner would want to instead call on a carpet cleaning company to come to the house and clean the rug in place. Carpet cleaners clean carpet. It sounds obvious, but carpet cleaners are trained and prepared to clean carpet. Oriental and Persian rugs usually should not be cleaned using the same techniques as carpet. Carpet cleaning machinery and cleaning solutions are designed for standard wall-to-wall synthetic fiber carpets. Your Oriental rug is made of wool, silk, or other natural fiber, and would be greatly damaged if it were subjected to the standard carpet cleaning process. Cleaning can be a wet process. As you know from any cleaning project, the actual cleaning process often requires large amounts of cleaning solutions and water. Rug cleaning is no exception. Having a rug cleaned in place could cause damage to the underlying floor, nearby furniture, and more. For a rug to be successfully cleaned, it often needs to be submerged in a rug bath. Therefore, moving water can circulate through the fibers and truly give the rug a deep clean. Even if dry cleaning solutions are used on a rug, they cannot be used inside a house without risking damage to the flooring or nearby furniture. Rugs require specialized equipment. For a rug to be thoroughly cleaned, it may need to be laid out on a grate and dusted with a large scale machine, or submerged into a rug bath and then spread out on a custom-built float table, hung to dry on a specialized drying tower, etc. In other words, fine rugs require – and deserve – professional equipment, which can only be housed in a professional rug cleaning facility. For the optimal results and the highest level of care for your rug, it’s best to schedule a cleaning appointment with the best professional rug cleaning company and let the specialists design a customized cleaning regimen for your rug. Please note that in some very rare cases, exceedingly large rugs do need to be cleaned in place, rather than in the rug cleaning workshop. In these rare but important situations, where the rug must indeed be cleaned in place, a professional rug cleaning expert will need to perform the cleaning process. The rug expert will have a specific protocol for oversized rugs, and will take all the precautions to thoroughly clean your rug while protecting the underlying floor and surrounding area. Even extremely large rugs can be thoroughly deep cleaned if you find the right professional rug cleaners! 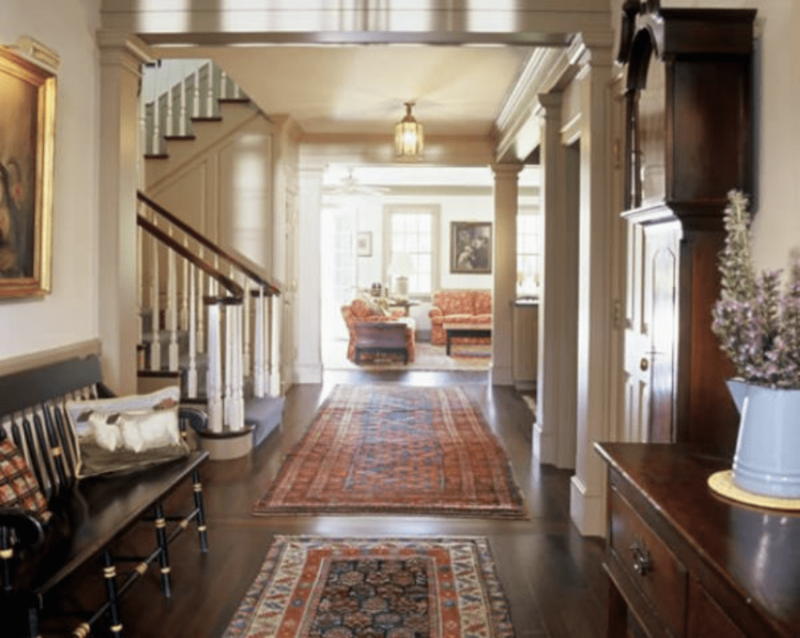 RugPro Oriental Rug Cleaning is the best Jacksonville FL rug cleaning company to trust with your fine area rugs. We offer the most thorough deep cleaning process available, and most importantly, we handle your beautiful rugs with the highest possible standard of care. We are rug experts, and have the training and experience to gently and thoroughly clean all types of fine area rugs. Rug lovers throughout Jacksonville, Riverside, San Marco, St. Augustine, and the Beaches call on RugPro for their rug cleaning needs, and you can too!